Consumer reviews influence your customers and potential customers, so it's good for you to learn from what's being said about you and for you to have a chance to respond to negative reviews. Yelp (http://www.yelp.com/) is a great example of what to look for as a resource. Reviews are organized by city and in larger cities, by neighborhood. This allows you to learn how your particular store or stores are doing. Reviews are screened for legitimacy and relevance. Consumer review sites took a hit with the news of businesses paying people to post positive reviews and with many reviews looking more like bragging or personal attacks than a genuine desire to help other consumers. Yelp seems to have addressed the problems. There are stories and numbers. Research at Ohio State University found that, overall, stories of customer experiences are much more powerful than numeric ratings in influencing consumers' decisions. Yelp reviews consist of brief stories, and posters are scolded if their stories are second-hand or hearsay. But for those who like numbers, they're there, too. Yelp is rolling out rating distribution charts and charts of how the ratings of a business have changed over time. There are tools for business operators. For instance, the site includes suggested phrasing to use in responding to negative reviews. You can track how many people are looking at the information on your business and get basic information about the people who posted a review of your business. Yelp now sets the standard for consumer review sites. Yelp currently is limited to covering business in the U.S., the U.K., Canada, and Ireland. According to an article last week in E-Commerce Times, Google is currently in talks to acquire Yelp. If this happens, I'd expect the growth of Yelp to be exponential. If you've read Making Money Is Not Illegal, Immoral or Fattening, you've discovered how devoted my coauthor Art Freedman is to helping small to midsize retail businesses succeed. Here's what Art says on page 26 of the book about the importance of knowing your numbers. "What is the biggest problem for owners/operators of small to midsize retail businesses? Too many small business retailers do not spend any time working on their financials. When they take a hit in margins, they're not aware of it until it's too late. A lot of them don't take inventories, they don't know what their shrinkage is, their expense base is going up, and they're not taking the increases in their expense base and passing it on to the consumer, and they don't have a bottom-line profit goal, and they don't even know how to figure out what their bottom-line profit is. "Do you know why small business retailers do not budget? What we fear, we stay away from. No one ever took the time to train the small business owners on how to budget and no one makes them budget, so because they are not educated and no one is asking them to budget , they just do not do it. "Think about the end of last month in your business, as you were getting ready to go into this month. The week before you went into this month, did you sit down to look at what you wanted to happen? Coming into the new month, did you have a pretty good idea of how much your final gross margin was going to be? How much your expense base is? Did you subtract your expense base from your final gross margin to determine if you were going to make any money for the month?" Are you seeing your share of the twenty percent of adults who predicted to Consumer Reports they'd be returning at least one of the holiday gifts they'd receive. Then be sure your staff keep item returns as simple as possible for customers. Yes, you're posting the return policy. But if customers are waiting in line at a returns desk, can they easily see the policy while waiting? A printed notice isn't as good as a wall posting. Consumers often don't pay attention to what return policies are until they bring in an item. If they're returning a gift, they might not be familiar with your store at all. Can't fit the returns policy onto a posting on the wall? Make a note to simplify the policy soon. How frustrating to a customer to wait in line to make a return only to be surprised to learn the return won't be accepted! Yes, you've trained staff on all the terms of the return policy. But can staff members keep their explanations to angry customers brief? Staff members who are flustered too often resort to reciting too much of the policy instead of explaining in plain language only the specific part of the policy that applies. Yes, you know that asking each customer the reason for the return is a good way both to improve merchandising and to curb fraud. But are you training and coaching your staff to make this a service-oriented inquiry, not an inquisition? Keep questions brief. If a customer asks, "Why do you need to know this?," reply "So we can do a better job of stocking the right merchandise for your needs." Yes, you've empowered your staff to interpret policies flexibly. But is a manager readily available for when questions about returns arise? We've all had the experience of asking a customer "What may I help you find?," only to have the customer reply "I'm just looking" and head toward the exit. Yet a number of those customers end up making a purchase on that trip or with a return visit if the salesperson says "Please take your time looking around." For some people, shopping for some types of items is more of a necessity than it is fun. Like the case of men shopping for clothes. Have you noticed how used clothing stores carry many more women's than men's merchandise? We men wear it until no legitimate used clothing store would ever allow it on the premises. Researchers at Stanford University asked each study participant to think about what would be involved in her or him shopping for a new wardrobe. 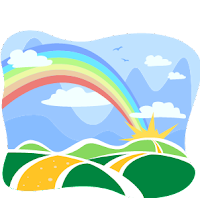 After completing this task, each participant was asked to plot a route for a cross-country trip. After thinking about the shopping, the men became much more likely to plot a direct route. This wasn't true for the women, who tended to plot a scenic route. The motto for the men became "Get 'er done." Certainly there are tasks women will find unpleasant. Like dental appointments. Our usual rule in retailing products and services is to deliver as quickly as possible. But researchers at Boston College and University of Miami found that there are circumstances where customers prefer longer waits. Those who hated being rushed wanted time to gather information, convince themselves the purchase made sense, and develop a plan to make it as painless as possible for themselves.We never want to turn our back on a shopper. We never want to leave them adrift. But we also never want to project an attitude of "Buy something now, or get out." Professional sports teams are retailers. They have been hit by the Great Recession, and one of the ways they're responding—called downselling—could be a valuable tool for other retailers. With sports teams, downselling means things like offering commercial accounts half-season tickets at half the price of a full season ticket. The objective is to maintain the purchasing relationship with the accounts so that when economic fears finally subside, those accounts will still be customers. According to an Associated Press feature published last week, the need for downselling is now being seen by teams across the board. Baseball attendance last season decreased by almost seven percent from the year before. During fourteen weeks of the National Football League season, twenty games were blacked out of TV coverage because the games failed to sell out. That was true for only nine games in the prior season. Downselling fits best as a tactic for commercial accounts—the business firms, government agencies, and nonprofits to whom you grant special terms because of the volume of their purchases, the length of their relationships with you, or particular advantages your business derives from claiming them as customers. For you, downselling could mean lowering threshold quantities necessary to receive purchase discounts and/or extended payment terms. Use downselling intelligently and not out of desperation. Offer the special terms to commercial accounts that are active advocates for your business. Advocates recommend you to others and counter unjustified complaints about your business. Advocates clearly want you to succeed. This is more than being a loyal customer. Abundant amounts of research have shown that what we think of as customer loyalty is quite fragile. If you downsell to accounts that are less than advocates, you risk lowering the long-term value of your standard terms in the minds of the customers. Research at University of Alabama and Brigham Young University identified five major sources that shoppers use to gather information to help them make purchase decisions. The list is time-tested, but you'll want to update it and see what is true for your shoppers. By knowing where your shoppers are getting their information, you'll be better able to allocate advertising and publicity resources. Have your sales staff ask customers where they're getting their information. Also, if you conduct consumer attitude surveys, regularly include items asking about these five sources. Visiting stores and retailers' websites. The shoppers' trend here is to compare a small set of items and/or a small set of stores for possibly purchasing a certain item. Advertisements. Looking at and listening to advertising and manufacturers' websites. Although this has historically been the second most popular source, its use is decreasing. Sampling. Another popular source that has a decreasing frequency of use. One reason for the decline is that consumers want to take less time making decisions. 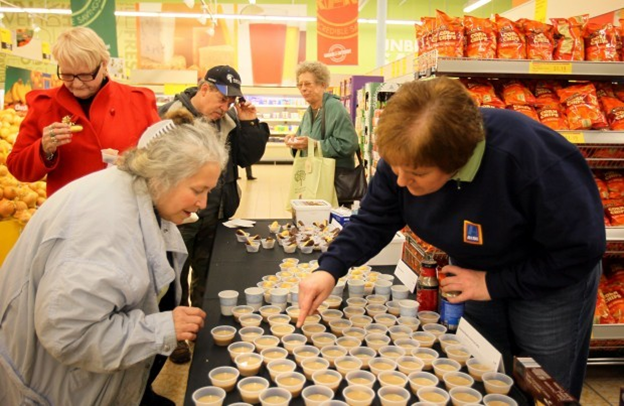 Another reason is that retailers and suppliers have been ambivalent about how much sampling to allow. Friends. Advice from other consumers. Face-to-face word-of-mouth has historically been the single most influential source, even when not the most popular. The trend is toward exchanging information with social media friends. Independent reviews. Consumer Reports magazine. Review websites—such as Yelp.com—that claim objectivity and accuracy. The clear trend here is toward consumers substituting online resources in place of advertisements for advice. Researchers at San Francisco State University, University of California-Berkeley, and University of Alberta found that most shoppers use at least two sources of information. Therefore, in your data gathering, be looking for which of the two of the set of five your customers use most often. It might be different for different product categories. "You must grow your business, and I understand growing your business is not necessarily opening up more stores. It also can mean growing with your people, growing with your categories. You need a succession plan, and that's much easier when you are profitable. What happens when you have no succession plan, and the owner/operator passes away? "That makes sense. I wouldn't want it either. But it's a problem. When kids coming up through the business don't see the parents' business allowing them to do what they like to do and have enough time for the family, they don't want any part of it. So you want profitability for family reasons, succession planning, and more." John Mackey, CEO of grocer Whole Foods, wants to help you be healthy. He told Associated Press he's moving the merchandising away from gourmet chocolates and their kin, and he's moving the labeling toward nutrition-density. 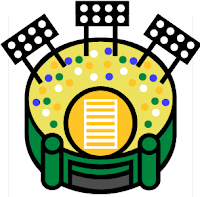 Nutrition-density labeling shows the amount of nutrients per item volume. Yet since its founding, Whole Foods has profited from having introduced food items—such as sea salts and truffle oil—which fit the label "organic" better than the label "healthful." If you view Mr. Mackey's decision as a model for your own retailing, don't go to extremes. A range of studies have shown that consumers continue to want indulgences, even in these economically tough times—and some say especially in these tough times. A research team from City University of New York, Loyola College, and Duke University found that when a healthy salad was added to a list of side dish choices, diners separately identified as high in self-control actually became more likely to order the French fries. Offer a small frivolity that isn't too expensive. That description is important to keep in mind as you interpret the Whole Foods changes. Shoppers have moved from frivolity toward frugality. Among the indulgences available at Whole Foods were not only quite expensive items, but also ostentatious items. Consider the fountains spewing out melted chocolate which allowed shoppers to fresh-dip their organic turnips or whatever else they chose. In the face of the Great Recession, sales of the indulgences plummeted. The company had to secure additional funding from a major investor, and it needed to tighten inventory. You'll want to decide how to best balance healthy with indulgent in your own merchandising. And you'll want to move the balance point between the two over time. Do it gradually to help maintain a trustworthy personality with your target markets. This guy from out of town walks into a bar. A couple of seconds after he enters, a man sitting at the bar yells "forty-seven" with great gusto, and immediately, all the people in the bar start laughing uproariously. Then there's complete silence. A few minutes later, somebody the guy can't see yells "one hundred five" in a high-pitched voice, and again, the bar is filled with laughter. "What's going on?" the out-of-towner asks a woman sitting next to him. "Well," she answers, "we've all heard the same jokes so many times before that a while back, we decided to assign each of the funniest jokes a number, and to save time and energy, we yell out the number." Right then, somebody else at the bar says "twenty-three." This time, though, there is no laughter. Only a resounding silence. "Did everybody forget what funny story goes with twenty-three," the guy asks? "Not at all," says the woman. "It's just that some people can tell a joke, and some people can't." Using humor well takes a certain talent, and this fact is particularly important when it comes to personal selling and media advertising. In retailing, genial humor warms the selling situation, but the problem with humor is that it can draw attention from the selling points. Studies conducted at University of Basel in Switzerland and Radboud University in The Netherlands found that humor in ads helped enhance memory for the ads but interfered with memory for the brand names in the ads. Researchers at University of Cincinnati and St. Vincent College in Pennsylvania found that humor in retailing is most effective when it is novel and unexpected. I'm thinking that if at that bar, three people in a row yell out "forty-seven," by the third time, there won't be much laughter. A tag line used by consulting firm dunnhumbyUSA is, "Average customers don't exist. Success lies in knowing individuals." Based on that advice in the past, grocery retailer Kroger, probably the best known dunnhumbyUSA client, slices and dices data gathered from Kroger frequent shopper programs in order to customize promotions and rewards. The tag line serves well to remind us to personalize our interactions with customers and to avoid preconceived stereotypes. Still, for most retailers, it's helpful to place customers into groups rather than require ourselves to think of each shopper as wholly unique. Consumer Generated Ads (CGAs) are great, but no retailer would aim for having a separate media ad for each potential customer. And staff training about servicing customers is possible only if we place people into groups so we can talk about them. You'll want to be sure that whatever categories you use for your shoppers reflect genuine differences important in you improving your profitability. But how to determine that? A statistical technique called "cluster analysis" and its cousin, named "discriminant analysis," can accomplish this when used by experts working in collaboration with you, the retailer. Applied to a matrix of customer response measures—such as patterns of item selection, point-of-sale data, and/or attitude questionnaire answers—cluster analysis and discriminant analysis help you hit the sweet spot of just the right level of grouping. Are you thinking I'll talk about Tiger Woods? No, you've already had plenty of chances to consider how his bad behavior shows the risks in using celebrity endorsers. So I'll talk about Best Buy instead. That electronics retailing giant is rolling out a pilot test, first publicly discussed last June, for in-store kiosks that let customers trade in video games for store credit. Experts say Best Buy wants to grab entertainment software market share from GameStop, which with more than 6,000 stores located in more than 15 countries, calls itself the world's largest video game retailer. 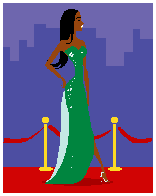 What's this have to do with making your sales staff celebrity endorsers? You see, one of the advantages enjoyed by GameStop is that their employees are gaming enthusiasts. Among other things, GameStop has rental programs to allow their staff to master the games. Serious gamers come to store employees to learn the tips, traps, and tricks. When a GameStop staff member praises a game, the endorsement is coming with expertise worthy of celebrity. To what degree do you take the recommendations of your staff—those who handle sales and those who handle returns—as to what products should be pruned out of your merchandise mix because the staff feel uncomfortable endorsing them? How do you make your expert staff members into celebrities, such as by featuring their photos in ads or even announcing their birthdays over the store speaker system? Kudos to Best Buy for courage in taking on GameStop. Researchers at University of Texas and University of Southern California say consumers are attracted to products whose celebrity endorsers have shown courage. Maybe that does bring us back to Tiger Woods. You or your staff members might sometimes think, "If I let this customer return this merchandise for a credit, it would be morally wrong. I can't let them get away with that." "If I really wanted to get your feathers up, get you so you'd start disagreeing with me, I'd say my opinion is with anything that comes back for a refund in the store, give the refund, take care of the customer. Now you go, 'Two years ago, I had somebody steal a drill. You mean I'm going to take care of that guy?' Then I ask, 'How many refunds do you do in your store?' 'Well, we do a whole bunch.' So isn't what happened with the drill an exception? Just deal with it and move on. Don't let that be the only thing you remember about refunds, please. Do not ever let one customer impact the way you think about all customers. "I was working with a retailer who told me, 'I agree with everything you said except this one thing about taking care of customers on refunds.' And I said, 'Rob, how much volume do you do?' Well, Rob does a good job. He's a great retailer. A multimillion dollar business. I said, 'Rob, what percentage of those sales are a problem where you say maybe somebody took advantage of you a little bit?' He replied, 'I don't know, about $30,000 a year.' I said 'That's about two-tenths of one percent of your business. Let's walk through your store and find some areas where you can pick up two to three to four margin points, and then let's forget about the bad refunds." How well are you selling to rebelling? This marketing appeal isn't new. I'd be only somewhat surprised to learn that vendors had set up shop in Boston around 1773 hawking T-shirts reading, "I was at the Big Tea Party." Shoppers seeking rebellion tend to be young, hold values strongly, and/or perceive themselves as experts in the product or service category. That means your opportunities for selling to rebelling extend well beyond clothing. For instance, findings from research at University of Pittsburgh and University of South Carolina suggest that self-perceived experts are especially likely to shop at retailers who categorize foods in rebellious ways. Still, a fine example of the unexpected forms rebellion can take—at least unexpected for retailers in Westernized cultures—comes from the world of wardrobe. Let's talk Turkey. Two researchers from Bilkent University in Ankara—the second largest city in Turkey—asked why an increasing number of Turkish women are now insisting on wearing veils in a secular country where the practice is banned in public buildings. The answer? Rebellion. Although the veil is generally seen by Westerners as repressive, many Turkish women are adopting it in part as a sign of deviance from the values of their mothers and peers. Rebellion does come in different forms. Sometimes it's minor league. Such as minor league sports. A New York Times online posting reports that Nike has designed a version of the hijab for women who want to play volleyball. Rebellious girls just want to have fun. And so do rebels who are boys, women, and men. According to Nielsen—the global marketing and media information company headquartered in New York City—your shoppers in 2010 will expect reduced store clutter. Retailers have already been cleaning up aisles and shelves. In some cases, things are more tidy because the retailers decided to carry less inventory in economically uncertain times, so there was little need to stuff in the merchandise. In some cases, the cleanup came from a realization that consumers are wanting to keep all things more straightforward in their lives, again because of the economically uncertain times. Loblaw Companies Limited—Canada's largest grocery retailer—rolled out their "Clutter-Free Check Out Lanes," and Superquinn in Ireland has moved in that same direction. Nielsen predicts that the consumer's drive for simplicity will also energize interest in store brands. I agree with the prediction. The shopper will figure they'll save decision-making time and mental energy by simply purchasing from the same brand name across product categories. They've already made the decision to shop at your store. This means they associate value with the store name, and that attitude will generalize to your house brand names. Nielsen argues that the marketplace interest in store brands gives you—the retailer—increased negotiating leverage with suppliers as they seek to forge alliances to continue providing products, even if under a different brand name. Trader Joe's has championed this business model. About 80% of the products they carry are private label from a variety of suppliers. But notice that the remaining 20% or so of the products are not private label. Also, Trader Joe's uses a variety of private label names. You might see Trader Ming, Trader Jacques, or Trader Giotto. This is great planning. Shoppers do want simplicity for year 2010, but in the times ahead, their desire for variety will strengthen. Customer shoplifting rates are up. So are opportunities for theft by employees, and that might be a greater concern for you. A 2004 study concluded that 48% of total retail shrinkage is due to employee theft and 32% to shoplifting. Another compelling statistic: According to test publisher London House, 42% of retail employees admit to employee theft. There are similarities in the reasons and the remedies for shoplifting and employee theft. Some reasons are based in the Great Recession: People are strapped for money. They are willing to take more risks because they are unsure of their future. Store staffing is thinner, so there are fewer people watching out for the thieves. And remedies such as increasing physical security will help curb both shoplifting and employee theft. Certain personality characteristics are associated with employee theft, so pre-employment integrity testing using professionally validated instruments can help prune out potential thieves. Still, many retailers don't use integrity testing because of the costs of the psychological expertise and the concerns about lawsuits which might be filed by people labeled as dishonest. Whether or not you use integrity testing, having clear employee expectations goes a long way towards heading off situations that increase thievery rates among people who lack a firm sense of right and wrong. What is okay, and what is cause for discipline? Borrow tools from the store to work on projects at home and then return the tools? Take home samples left by vendors or merchandise the store management has discarded? Use computers in the back office for personal correspondence? Request permission to take ownership of returned items that won't be resold or returned to the supplier? It is in the psychology of retailing for certain employees to consider theft as terrible, but see their own taking of property as fine. When a customer successfully resists temptation to buy an item, offer them one more opportunity to make a purchase in that product category. According to researchers at Columbia University and Hong Kong University of Science and Technology, your chances of making a sale through the second offer are substantially greater than if the customer had not resisted the temptation. This technique is useful only when the customer gives clear evidence of having struggled with the purchase decision. The reason the selling technique works has to do with pride and guilt. When a shopper resists the temptation to buy, they have a sense of pride, and any feelings of guilt fade away. 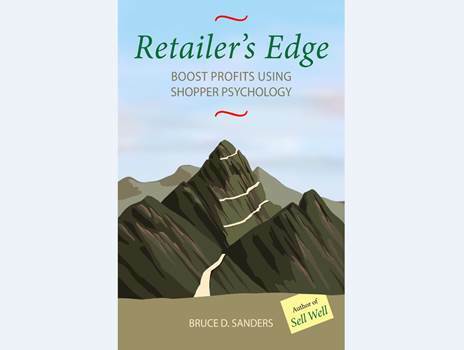 The shopper's will power is weaker because it's just been used, and the shopper thinks they deserve a reward for enduring the stress of having to exercise their will power. Analyze why the shopper resisted the temptation and find another item they are likely to be interested in which does not naturally arouse the same sorts of temptations. If the customer says, "This kitchen appliance would sure make my cooking easier. but I'm not going to buy it until I have a large kitchen to put it in," suggest another kitchen labor saver which is at least 20% smaller. I say 20% because there is some evidence a difference must be about this large for the consumer to notice it when making purchase decisions. Don't present more than one additional offer unless the customer asks. In some shoppers, the relief from yielding to the temptation for the smaller or less expensive item puts the shopper into a frame of mind to buy lots more. But if the one additional offer is rejected, you don't want to risk alienating a customer into yelling, "When I say no, I mean no!" "When retailers are doing well financially, it's hard to get them to change how they do things. There are successful retailers I've worked with, where I'll show them how to pick up even $100,000, but they won't do it. The reason they won't do it is they've already got a lot of money, and getting more money doesn't mean that much to them. They're missing the opportunities. "Even if you're hurting financially, you might not be hurting enough to put in the energy necessary to make more money. The money alone is not a good motivator. I'll bet that you're not wondering whether you'll get a meal tonight. I'll bet you have clothes in your closet, some kind of transportation, and a roof over your head. But if you don't open up your mind to making more money, you're missing the opportunities. 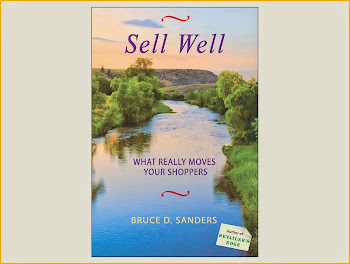 "With some retailers, every time I suggest a nugget, they think about the exceptions, where it might not work. I know that there are exceptions to almost everything. But if you deal just with exceptions in your world, you won't do anything. You won't be able to move ahead quickly enough for retailing success. I like to take action which is based on what is true most of the time, not on exceptions. And I will not wait until I have every piece of information possible to make a decision. When I have about 70%, I'm moving. "When we have an exception and we're pulled off track, and then we get another exception and we're pulled off in another direction, let's quickly handle the exceptions and get back on track." Products that meet more than one need can be especially attractive to shoppers. The handbag that is suitable for a formal dinner, and then turned inside out has a different design which fits right in with a casual lunch. The kitchen scissors with a bottle opener at the end of one of the handles. The rose fertilizer which also kills insects and fungus. Multi-solution products are also attractive to retailers. Researchers at Northwestern University find that shoppers expect to pay more for a multi-solution than for a single-solution product. In fact, the shoppers will believe that performance on each feature is inferior unless the multi-solution product is priced higher. For maximum profitability, present the item to consumers in the category associated with the highest margins. If you're selling a cold beverage which both satisfies a thirst and enhances physical strength, figure that the strength-enhancement category probably yields higher profit margins than the thirst-quenching category, so in ads and merchandising, place the beverage in the strength-enhancement section. Another technique for guiding product categorization is suggested by study findings from INSEAD-Europe, INSEAD-Asia, and University of California-Berkeley: Put the multi-solution product into a category that already has a number of subcategories. The researchers asked study participants to consider a product named the Exercise Buddy. It was a combination MP3 player and heart-rate monitor. Along with the product, the researchers gave the participants brochure copy that had five entertainment electronic subcategories and two health electronic subcategories. The result was that the participants were more likely to consider the Exercise Buddy to be primarily entertainment electronics rather than health electronics. It might seem that consumers would put a multi-solution product into a category that has fewer subcategories. But it looks like consumers consider the more thorough organization as helping to ease complexity, not increase it. Because of children's roles as a future market, you've a responsibility to the well-being of your business and your community to cultivate kids into good consumers. University of Minnesota research indicates that a prime time for doing this is when children are ages 7 to 11. Around age 7, children's consumer skills start to blossom. They can get better at recognizing the benefits made possible by product features, moving beyond a focus on the product features themselves. And they can gain a greater ability to compare products on more than one dimension—such as ease of use and duration of use—at the same time. They can get better at realizing that more is not always better, such as a strong sour taste being well-suited to pickles, but not to peanut butter. When the kids were younger, the shopping mall Santa Claus was smart enough not to promise the kids anything the parents hadn't signaled was a guarantee. Now that the kids are older, continue in the spirit of Santa Claus. If the parents look uncomfortable, draw back from educating the young consumer. With a younger or smaller child, it often builds rapport to crouch down when talking with the child. However, if the child looks uncomfortable when you do this, stand right back up. In any case, never touch the child except perhaps to shake hands if that's culturally appropriate. When discussing purchase choices with the parents, also look at the child periodically. If the child asks questions, answer in terms the child can understand and with no hint of ridicule. What seems obvious to an adult might be puzzling to a blooming consumer. Give the family adequate privacy to make their purchase decisions. Yesterday, my four-year-old granddaughter Molly, who is very anxious to begin kindergarten next year, dictated what she called her "Learning at School" list. There are some items that clearly belong. Rule 9, "Do your hardest work," is nicely augmented by Rule 12, "Don't scribble scrabble on people's work." Sometimes a four-year-old's silliness came through. Rule 14, the eminently sensible "Don't pull people's hair," morphed into Rules 17 and 18, "Don't bounce balls on people's heads" and "Don't pull people's noses." As a retailing consultant, I was glad to see that Rule 1 was "Say hi to your teacher." A friendly, outgoing approach will take you far, whether it's with teachers, customers, or coworkers. According to research at University of British Columbia and INSEAD-Singapore, going beyond "Hi" to reveal information about yourself to others also helps. Maybe not Rule 15, "If someone says, 'How old are you?,' you have to say how old you are," but Rule 11, "If someone says, 'What's your name?,' you have to answer." In fact, I think customers should not even have to ask. Do you require your staff members to wear name tags? Molly's Rule 13 is "Never forget your lunch." My guess is that what she meant was to be sure you and your staff take breaks from the sales floor and pay attention to your health. Those are necessary prerequisites to following Rule 5, "Be happy," and Rule 6, "Don't spit at people." Still, of Molly's twenty-seven rules for learning, Rule 10 is by far my favorite: "If someone shouts, 'There's a rainbow!,' you have to look." On this first day of Chanukah and in this month of Christmas, I'm reminding myself of the importance of celebrating. I bring that up in case you and your staff would like to do the same. In 2002, global consulting firm Booz Allen Hamilton published "The Fortune at the Bottom of the Pyramid." The paper argued that because there are so many poor people in the world, they are a lucrative market for retailers, even if each person spends only a very little. Your customer base may not be as poor as those addressed by the BoP initiatives. But chances are, many of your customers are feeling the pain of limited income for now. Help these customers maintain their dignity as they make challenging purchase choices. The economy will almost certainly turn more positive in the future. We want to cultivate the gratitude of these customers. Offer smaller package sizes. I recommend against abandoning your largest package sizes, though. Low income customers usually realize they'll get better value from those, and it helps their spirits to think about purchasing the larger sizes in the future. Carry low cost healthy merchandise for children. The research says that one of the greatest difficulties for low income consumers is denying the requests of their children. Among the items you carry should be ones that parents can feel good about buying and that the children will appreciate, even if the items aren't the children's favorites. 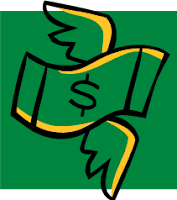 Consider expanding credit terms and layaway plans. Although some experts say the BoP point of view is overly optimistic, most agree that low income customers are usually very good credit risks if they are treated with dignity. When family members shop together in your store, allow them privacy to discuss purchase decisions on the sales floor and even—briefly—at the cash/wrap. "I don't want you looking back at me like Bambi caught in the headlights. I'll be mighty disappointed if you say, 'I'm not sure' or 'Gee, I never thought about it.' I want to know exactly what you are going to do. If I stopped my store manager right there at the opening in the morning, and I put my hand on his shoulder and said, 'What are we going to do in here today to make a difference?,' my store manager had better have a whole list of things, and it better not be, 'Let me go inside and check my notes from yesterday.' What are we going to do to be better today, and let's know it before we walk into the store, because once we walk in, we've got all kinds of distractions to handle. "That's the start of the day. How about at the end of your day? When you go to bed tonight, you know your head's going to hit the pillow and some of you are going to do what I probably do and you kind of think about what you did during the day. So when that happens to you tonight, think about this: What did you do to make a difference in your world?" Retailing excitement has been in shorter supply as manufacturers trimmed product introductions. The word is that this is changing in 2010, at least for retailers who sell consumer packaged goods (CPGs). 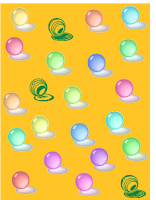 Companies like Procter & Gamble, Energizer, Kimberly-Clark (Kleenex, Scott, Depends), Unilever (Lipton, Dove, Cif), and Reckitt Benckiser (Lysol, Vanish, Clearasil) are each promising new offerings will come out next year. The companies also say they'll provide ample marketing support for the rollouts. Assess the performance of your house brands. Industry gurus are saying CPG marketers are acting from fear about consumers moving towards house brands at the expense of market share for the name brands. You'll almost certainly want to keep at least some house brands in your merchandise mix. Determine which ones you'll be replacing because of factors like inadequate sales performance, inadequate product quality, or signs of consumer boredom. Prepare your customers for the product improvements. Some of the new products will be incremental improvements to what you currently carry. For instance, Energizer is expected to roll out an innovative Schick shaving system. When you know what's coming, start talking about the distinctive features of the new products. Prepare for the brand extensions. The real driver of customer excitement will be the brand extensions—a well-known brand name on a product line not previously sold under that brand name by your store. As soon as you learn what sorts of products are on the horizon for you to sell, create ways to arouse shopper enthusiasm about the product categories. If you don't currently sell shavers, but would like to try selling the Schick entry, find ways to get people thinking about your store as the shaving place and as having expertise about the Schick brand. All retailers provide services. Even though the customer might be coming for the product, the purchase includes consulting and delivering. Some retailers—such as appliance repair shops and financial advisors—primarily sell services, with any dollars that result from product sales being almost an afterthought. Because of the universality of services in retailing, recognize how your customers evaluate your services. Based on research findings from Chinese University of Hong Kong and Fudan University in China, I recommend that you place the highest importance on showing attentiveness, friendliness, and empathy towards services customers. Surprisingly, those three service relationship factors influence customer satisfaction to a greater extent than do service outcome factors, such how well the clothes dryer works after being repaired, if the cruise ship vacation met expectations, and even the extent of financial returns on investments. This is not to say that the outcomes of services are unimportant to consumers. But with many consumer services, it's difficult to tell how good the outcomes really are. The consumer pays for a lube and oil change on the family car, but how do they know if the extra-cost safety check was done properly? The patient is relieved that the dental work is over, but how can she know if things would have been less painful if she'd gone to a different dentist? Once we've found a reliable service provider, we usually don't continue to shop around. The service provider is pleased to have us keep coming back, and the consumer is pleased to have a service provider to come back to. Attentiveness, friendliness, and empathy become even more important when the outcome of the service is obviously bad. Customers will be less dissatisfied and less likely to blame the service provider for the problem when the service provider has demonstrated they care. 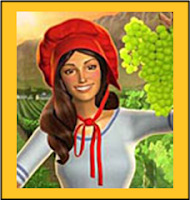 The Sun-Maid Raisin girl is being updated—with limitations. 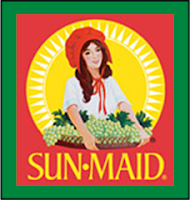 The trademarked brand symbol on product boxes from Sun-Maid Growers of California is staying the same, but in advertising, the Sun-Maid Raisin girl is looking new. The changes have not been universally praised. A Yahoo.com posting opines that she resembles "a Barbie Doll in Amish attire," and one on the feminist website Jezebel.com complains that it looks like the Sun-Maid Raisin girl felt a need not just for contemporary eyebrows, but also "some implants." The appearance of these changes in one of the best known brand symbols in the world serves as an occasion for you to review the dress codes for your own brand symbols, store décor, and staff. As you look towards taking down the 2009 calendars and posting the 2010 ones, and as the holiday decorations on your walls, websites, and employees get put back in storage, assess whether you are sufficiently fashionable. Dress codes are always a thorny issue for owners and operators of retail stores. When it comes to brand symbols, there are things you can do that you can't do with your staff st andards. For instance, as thin became in, the Pillsbury Doughboy consistently slimmed down over the years. Mandating small dress and pants sizes for your retailing staff probably wouldn't fly. And with brand symbols, you can always decide to give up. The original Betty Crocker of 1936 has had at least seven fashion makeovers since then, with the latest news being that the company is throwing in the towel and pulling out a red spoon to replace Betty altogether. Still, when it comes to your staff, avoiding decisions about dress codes is not a workable strategy. Consider what will work, and as part of that, what will motivate your staff by pleasing them. Is a shopper more likely to buy an unfamiliar brand of laundry bleach if it's displayed together with All Free laundry detergent? Researchers at Indiana University say yes, they will. A good way to introduce a new brand to your target market is to pair it up with a highly familiar brand in media advertising and store displays. Have the unfamiliar and familiar brands from different product categories which are often used together, and make the familiar brand a prototype. A prototype brand is the one best known by consumers in your target markets and projecting the product personality you're aiming to project with the newly introduced brand. From the geographical angle, the prototype brand of laundry detergent might be Tide in Milwaukee, All Free in San Francisco, and Ala in Buenos Aries. From the perspective of product personality, showing an unfamiliar wine brand in an ad along with a lasagna dinner projects a quite different impression than would showing that wine with an entrée of escargot. Displaying a newly introduced brand of motorcycle helmet leaves a different impression depending on whether the accompanying machine is a Harley or a Segway. In product comparison ads, it's best not to show people using the products. But in having a prototype brand accompany the unfamiliar brand, you are not comparing the product features of the two. Therefore, feel free to show users in your ads and displays. "There are four areas of your life where every single day, you either get just a little bit better or a little bit worse. Nobody stays the same. The first area is your health. Every single day, you either get less healthy or more healthy. "The second is your personal development. Every single day, you forget things. Every day. Proven fact. So the only question is do you learn new things every day, or when you go to bed at night, are you dumber than when you woke up in the morning? That's the way it is. We have to take it upon ourselves. At your level, you are responsible for your learning. You don't have anyone else to blame if you don't learn something. People who work for you in the stores, you need to help them out a little bit, but at this level, it's all on your back. But wait a second here. You're reading this book. So you are attending to your personal development. "The third area in which you either get better or get worse each day is your family life. It is the relationships with those closest to you and also includes your family finances. They either become stronger or weaker every single day. It's just a little bit. But over time, it's a lot." "The fourth area is the world you and I live in—the business world. Your business either gets a little bit better or a little bit worse every day. Your business won't be the same today as it was yesterday." For more details, see the section starting on page 12 of the book. According to retailing experts at Hofstra University, your customers' favorite frequent shopper reward has been a percentage discount on new purchases. But this is no longer a distinctive feature of the programs. Retailers are increasingly using discount coupons made available to all consumers, not only those with the loyalty club cards. Sites like coupons.com and coolsavings.com are reporting record traffic. More than just shoppers retrieving coupons via their computers before heading out to the store, people are using smart phones to scan a product's bar code while shopping to instantly retrieve instructions for getting a discount. Certainly consider participating in these discount coupon programs. But to best maintain your customer database that comes from frequent shopper programs, offer customer benefits beyond discounts. An example of this is a program recently introduced by grocery retailer Kroger Co. They are using their sales databases to notify each customer when an item the customer previously purchased is being recalled for safety reasons. Publicize that you're doing this, but be clear that you expect to make these calls only rarely. You don't want to have a reputation for selling products that often end up being recalled! Allow loyalty club members to opt out of receiving the calls. Early experience with the Kroger program shows that some of their customers don't like to be reminded that every purchase is being tracked. When possible, have store staff make the telephone calls at times customers are likely to find convenient. The Kroger program is using automated robo-calling. In my opinion, this undercuts the demonstration of personal caring. We'd like our shoppers to have positive attitudes towards items we prefer them to purchase and actions we'd like them to take. Your customers make most of these decisions quickly. Classic research at University of Michigan showed how people form attitudes so they don't have to get bogged down thinking through every purchase. Attitudes are snapshot expressions of the consumer's values and concerns. Belief. For instance, "You get more value for your money when using a coupon from a manufacturer than a coupon from a store because the store gets reimbursed by the manufacturer for the discount." The belief might be mistaken, but unless you know what the belief is, you can't be sure. Emotion. "Getting a bargain other people aren't getting makes me feel warm all over." These are emotions, like happy, sad, confused, or embarrassed. When shopping, most consumers will experience only one strong emotion at any one time. Emotions are somewhat tougher for you to change than are beliefs. Your best chance is to create a positive tone in your advertising and personal selling and to then work on the beliefs, which indirectly affect the emotions. Intention. "I'll buy the products where I have a manufacturer's coupon in hand." Intentions are the closest of the three to the consumer taking action, so it's to your benefit to know what your customers intend to do. Well-designed consumer attitude questionnaires and focus groups will analyze beliefs, emotions, and intentions, not just one or two of the three. 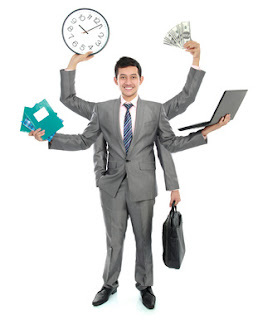 In personal selling, pay attention to signs of all three. That way, you'll know what actions to take to build attitudes useful to both your customers and you. A rhetorical question is a yes/no question to which the answer is felt to be so obvious that no reply is necessary. Examples include "Wouldn't it be fun to have this couch in your living room by tonight?," and "Do you want to miss this wonderful opportunity?" You can use rhetorical questions in ads and in personal selling. They can help close a sale. But be careful. Researchers at University of Minnesota and Ohio State University find that rhetorical questions truly work only with customers who are already feeling favorable. Then the customer will often answer the question inside their heads, if not aloud, with the result that they'll be thinking more about what you've been telling them. If you've been telling them the advantages of purchasing the product, they become more likely to make that purchase. When they're already feeling favorable, rhetorical questions help the customer convince themselves they're making an excellent decision. However, if a customer has nagging doubts about the product, service, store, or salesperson, then rhetorical questions make them feel all boxed in. They'll have a sense that you're trying to manipulate them, and they'll want to escape from the purchase. You'll lose the sale. Use these types of questions only sparingly, if at all. This means that in your advertising, you should start out with a rhetorical question only if you are confident that most of your readers already largely support whatever it is you'll be asking them to do in the rest of the ad. They're almost sold. If this isn't the case, the research findings suggest, give your convincing arguments in the ad before asking any rhetorical questions. In personal selling, use rhetorical questions only after you sense that the customer wants to make the purchase, but needs a bit of a nudge. Teaming up with other retailers to fund a media campaign can save you money and allow you to diversify marketing dollars. But some researchers at New York University and University of Florida recommend caution. They point out the importance of your store's distinctive advantages being featured in the advertising. The researchers looked at what happens with generic ads designed to promote consumption of an entire product category. Examples include the Florida Citrus Board's ads for orange juice and the Midwest Dairy Association's "Ah, the power of cheese" campaign. Generic advertising intends to increase overall demand, but not selectively favor certain members of the advertising group funding the ads. However, the researchers found that this objective was often not met. When the generic ads for orange juice emphasized nutritional advantages, this helped the Albertson's store brand more than it did the premium Tropicana brand. The effect was the other way around when the generic ads emphasized the value of good flavor. An assumption behind ad group advertising is that the value of the featured advantage—such as nutrition or flavor—will grow in the consumer's mind, while the importance of the other advantages will not be disturbed. Talking about nutrition doesn't decrease the value of flavor for the consumer, it's said. But again, the research disproves the assumption. An ad highlighting nutrition will lead to the consumer placing less value on other attributes, such as flavor.